.IN THE EVENT OF AN EMERGENCY, the lobby of the Law Enforcement Center is open to the public 24 hours a day. A phone is provided in the lobby for instant assistance as needed. Beltrami County Sheriff’s Office is responsible for patrolling over 3000 square miles and protecting over 43,000 county residents. By some estimates, the summertime population more than doubles with tourists who are attracted to the area’s resorts and outdoor recreation opportunities. The Sheriff's Office is responsible for patrolling and protecting the safety of everyone using our forests and waterways. 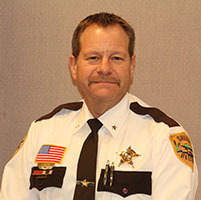 The Beltrami County Sheriff’s Office is dedicated to the principles of protection and service. We will work in partnership with the community by offering professional administration and enforcement of all federal, state and local laws, as well as being responsible for the provision of other services to the public through all divisions of the Sheriff’s Office. We will strive to provide professional service through field patrol deputies, criminal investigators, civil process officers, 911 communications officers, bailiffs, corrections officers, records technicians, sentence to serve staff, boat and water and snowmobile patrol officers, emergency management as well as administrative staff. If you need information from US Immigration and Customs Enforcement (ICE) or Homeland Security Investigations (HIS) regarding the release of a criminal alien, click here.